I liked the movie very much. 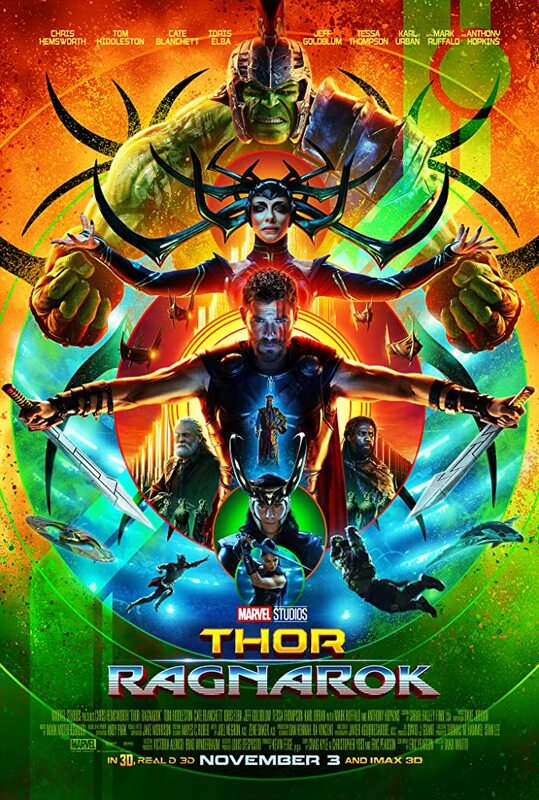 I felt it did three things well: The wonderful snarky humor, the dramatic action scenes, and the Thor/Loki dynamics. But I did think it was really weird that they felt they had to kill Thor's three friends off so quickly. What if they want them for another movie? They don't know what the distant future will bring. Why not have them off planet? (I understand Sif was not there because of schedule conflicts of the actress. As to Valkyrie...maybe the blond we saw being killed to save the short girl was the original Valkyrie and this one was the runt of the family. I did like her, though. She had a nice dynamic with Hulk and later Thor. I suspect the warriors three were killed off because Zachery Levi, at least, is becoming a bigger name in the business, and won't be available, because he'll be playing Shazam / Captain Marvel in DC films. God knows about the other two. And if worst comes to worse, they can always bring them back from the dead, because comic book films (yes, I know death has been fairly permanent thus far, but I can't imagine another Thor film without Asgard, and Lord only knows about what they'll do with the Infinity Gauntlet). My major problem was that they were brushed aside so casually. Yeah, they've been given smaller and smaller roles in each film, but geez, that was so small a role, why even bother?